You can feel the history in every corner of the city of Salzburg: strolling through the narrow city streets you will be surrounded by historical sights and attractions. Magnificent churches, famous squares and cultural highlights: go back in time to visit Salzburg's history and be amazed by the famous sights. Salzburg is truly a baroque jewel. Take a walk in the city's splendid parks, let the sights teach you about Salzburg's history and be sure to treat yourself to a coffee or two in one of the tradition-filled coffee houses. Fortress and palaces: In Salzburg there is plenty of superb architecture to discover: the Hohensalzburg Fortress, the state rooms of the old Residence Palace, the new Residence Palace with its glockenspiel, Hellbrunn Palace with its Trick Fountains, Klessheim Palace and Casino, Leopoldskron Palace and Mirabell Palace with its beautiful gardens. 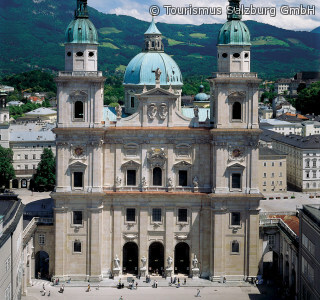 Churches: Salzburg Cathedral, the Capuchin Monastery, the Collegiate Church, St. Mark's Church, Nonnberg Priory and the Cajetan Church are just a few of the churches in Salzburg. Streets and squares: Shopping in the Getreidegasse, Judengasse and Linzergasse; drinking coffee on Alten Markt market square; visiting Cathedral Square, home of the venue of the world-famous Everyman performance that is performed every year during the Salzburg Festival; strolling through the Goldgasse and Sigmund-Hafner-Gasse; and much more. Natures and parks: A sea of flowers in the Mirabell Gardens, exotic and local animals in the Salzburg Zoo, playful water at the Hellbrunn Trick Fountains, diverse plants in the Botanical Garden, Salzburg's natural oasis at the Leopoldskroner Weiher pond, the Kapuzinerberg and Mönchsberg montains, and of course beautiful nature here at the Gersberg Alm. The "Romantik Hotel" Gersberg Alm is the perfect holiday accommodation. From here you can reach the city of Salzburg in no time at all, leaving you plenty of time to enjoy all the sights and attractions. 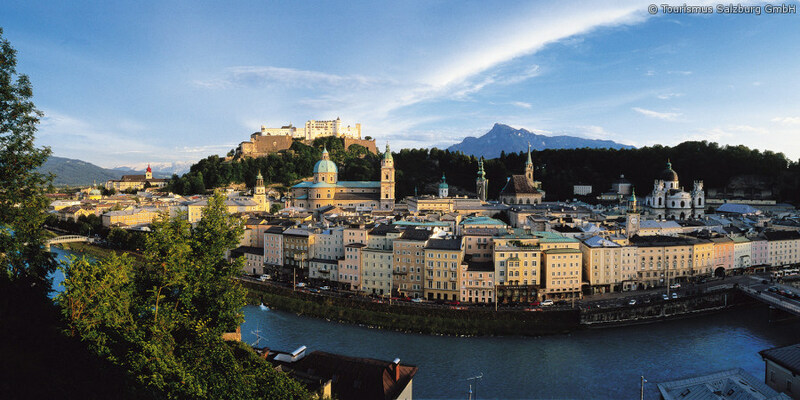 Are you excited to see what Salzburg has to offer? Send us your non-binding enquiry – we look forward to your visit!